Some days I worry about myself and on others I just know I’m going crazy. Recently I have definitely felt as though I’m losing my mind as I have become incredibly forgetful. Although I have been totally focused on something one minute the next it is as if that something never passed through my thoughts in the first place moments later. This is not so much like going upstairs and wondering what I’d come up for but more finding myself at the bottom of the stairs and being unable to remember whether I’d just come down them or was just going up… I know I have a lot on but seriously!?! 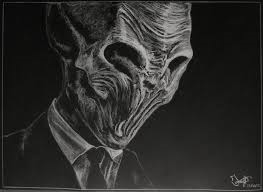 This state of mind reminds me of the psychologically terrifying The Silence dreamt up by Steven Moffat for Dr Who. Their existence is a secret because anyone who sees them immediately forgets about them after looking away, while still retaining the suggestions that have been made to them. There has been something nagging at me for a while, something important that I have forgotten and then it came to me… because like the suggestions made by The Silence the contents of this book have stayed with me and made me smile. I thought I’d done it, I really did but the realisation has hit me that I read a terrific book a while ago now and then completely forgot to review it… shameful…I know and I hang my head. 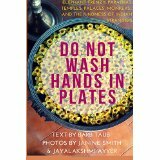 Do Not Wash Hands In Plates is the humorous tale of three women eating their way across India in search of adventure, elephants, temples, palaces, western toilets, monkeys, the perfect paratha…and the kindness of Indian strangers. ‘Humorous’ comes nowhere near to doing this book justice though as it is laugh out loud funny – and I rarely laugh at books, however hilarious they are meant to be. In this case however with the sparkling wit of Barb Taub springing off pages often vividly decorated with wonderful photographs from Jayalakshmi Ayyer and Janine Smith there are so many funny moments it would be difficult to pick one out here. Even on the dark days when Barb became ill she manages to keep us smiling through her pain. On reading this book you will find out why Delhi is closed today and the Taj Mahal is very clean. You’ll learn about the joys of Indian pharmaceuticals and tastebud assaults. The amount of food consumed is staggering, and by all accounts staggeringly delicious. I don’t know what parathas are but I know I want them. The temples are incredible, the traffic terrifying and the wildlife, well I’ll leave you to find that out for yourselves though I will tell you there are elephants! But what comes across most is the warmth of India. When you read this book you will see the beauty of the palette of ochre hues that are the background. Feel the heat that is added by the vivid array of reds, pinks and oranges that adorn a country that truly does seem to be filled with the kindness of Indian strangers. You’ll want to visit; I know I do! Georgia, thanks so much for this lovely review! I can’t tell you how much I appreciate your kind words about our little book. I hope you find yourself in India some day soon. As a matter of fact, Janine, Jaya, and I are travelling through Rajasthan in hopes of a sequel. So far, we’ve ridden on camels and elephants. Currently, we’re looking for other large animals to abuse. Any suggestions? I had heard you were making a return journey so I hope it is going very well. I do believe they play polo out there, perhaps this is something you could participate in 😉 I look forward to reading all about your further adventures.